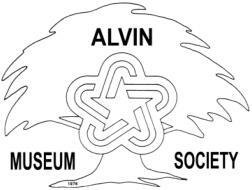 The Quarterly Meeting of the Alvin Museum Society is Sunday, May 22, 2005, at 2:00 p.m. in the West Wing of The Alvin Senior Center. The program will be a preview of some of the exhibit artifacts for the Historical Museum. During the business session, the Nominating Committee will present the slate of officers and trustess for the 2005-2007 term. Refreshments will be served. Everyone is encouraged to attend and bring family and frieds. The meeting is open to the public. The Museum Society fiscal year ends May 31. Dues for 2005-2006 are payable beginning June 1.